It's My Birthday so I'm Giving You Presents! To celebrate I'm having a book swag themed giveaway!!! 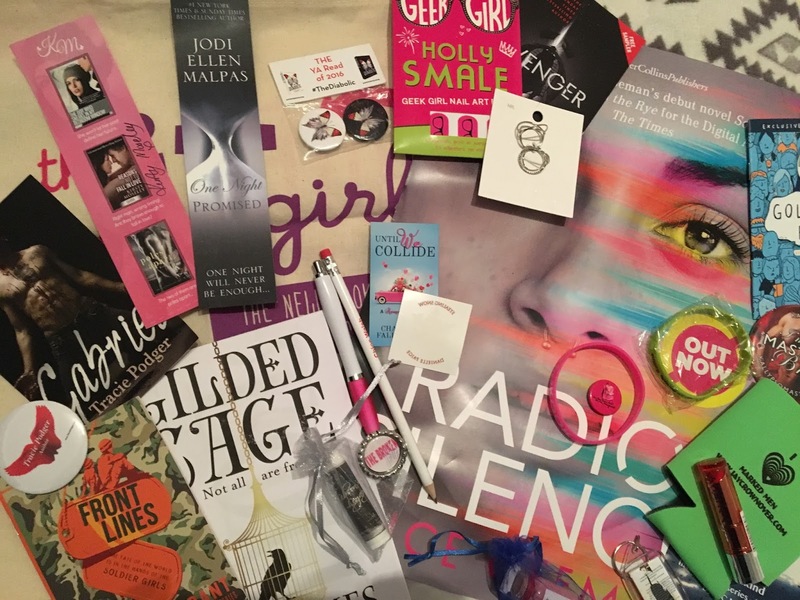 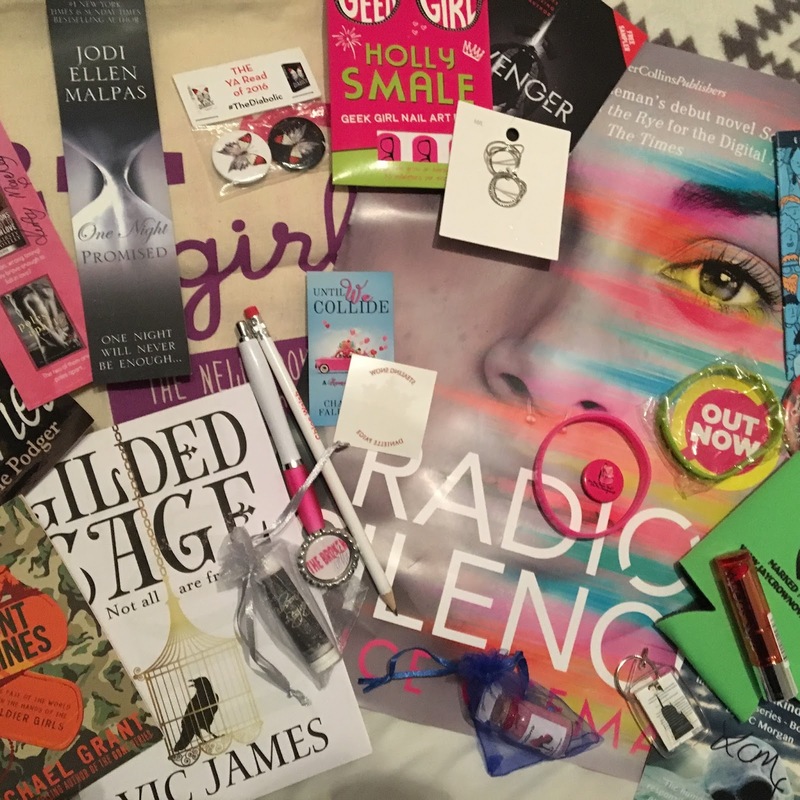 Win a special goodie bag full of bookish goodies! 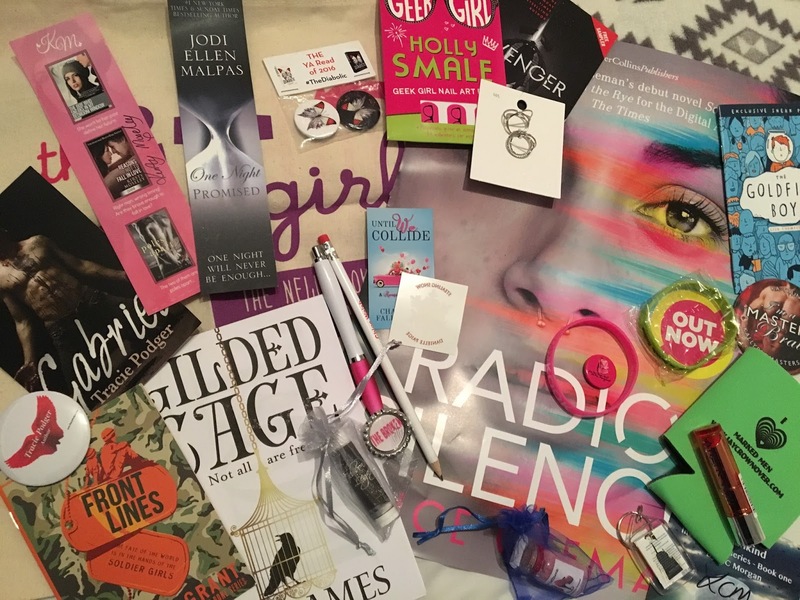 Radio Silence poster, The it girl tote bag, Gabriel card (signed by Tracie Podger), One Night Promised bookmark, Kirsty Moseley bookmark (signed by Kirsty Moseley), Humankind photo card (signed by L.C. 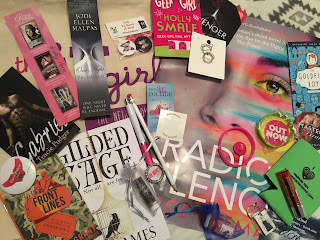 Morgan), Until We Collide Magnet, The Broken Series magnet, I'm a Masters Brat large button badge, Are You There... button badge, Tracie Podger button mirror, book cover keyring, #TheDiabolic button badges, Nikki Ashton pen, Chloe Walsh pencil, Gibson's Legacy chapstick, teaser samples: The Goldfish Boy, Revenger/I Was Dead For 13 Minutes, Front Lines & Gilded Cage, Burning & Kook rubber bracelet bands, snowflake temp tattoo, I Heart Marked Pen drink cooler pouch, Bella Settarra bath salts sampler, Miss Sport lipstick, Geek Girl nail art pack & ring set.